Again this year, the registration fee will contain $50 for the mandatory fundraiser. 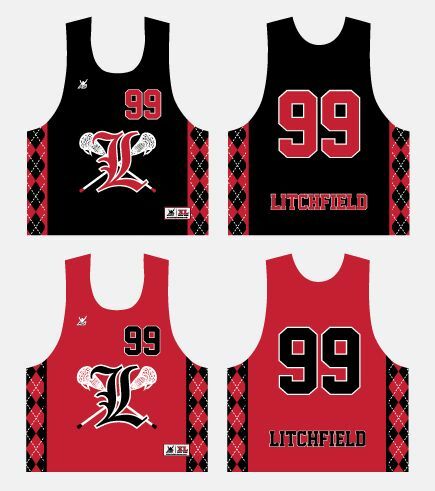 In 2015, the Litchfield Lacrosse Association (LLA) eliminated fundraising as an obligation to supplement the registration fee, however the LLA Board has changed course this year as the suggestions of parents has been that the stand alone fee has been too high. The $50 may be earned back by the players by selling the fundraiser calendars. These calendars will be distributed at the first March practice and collected at the last March practice. Outdoor practices will begin in April and each team will practice 2-3 times a week through the second week in June. Games are on Sunday, though there may be an occasional game on Saturday due to offsetting a bye week or for makeup purposes. There is an end of the season festival where a team may play on either Saturday 6/8 or Sunday 6/9 – the schedule is not determined until after the season ends. To register your children, click on the Player Registration menu to see the details for 2019 Competitive Lacrosse Player. Click on the green colored "Register Now" button. Fill out the first page with PARENT CONTACT information. Add a child and fill in all the required player information. After submitting the first player, review the payment total and click the Pay Now button. If you are registering several siblings, click the REGISTER ANOTHER button instead. New players will need to purchase a uniform, returning players do not need to purchase a new uniform (however, if your player does need a new one, please order at this time). On the Registration Page there is a separate selection in the Registration Category for uniform ordering. LLA uses PayPal to process credit cards for your convenience. You do not need to be a PayPal member, just click on the "Pay with a debit or credit card" link for a one-time payment. If you have questions about registration, go the the Contact page and sent Registration Services an email.